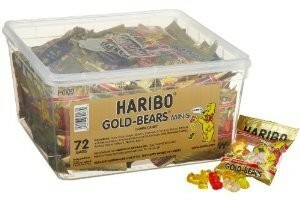 Wow, right now at Amazon you can get 72 single serve bags of Haribo Gummy Bears for only $11.39 shipped! (only $0.16 per bag) This is a great Halloween candy deal. I don't know how many kids come knocking on your door, but I know 72 bags would get me through the night! To get this price, you'll need to buy using Subscribe & Save. This can easily be cancelled in one click in your Amazon account page after the order ships. Select 6-months to give you plenty of time to cancel.